Kids love to dance! 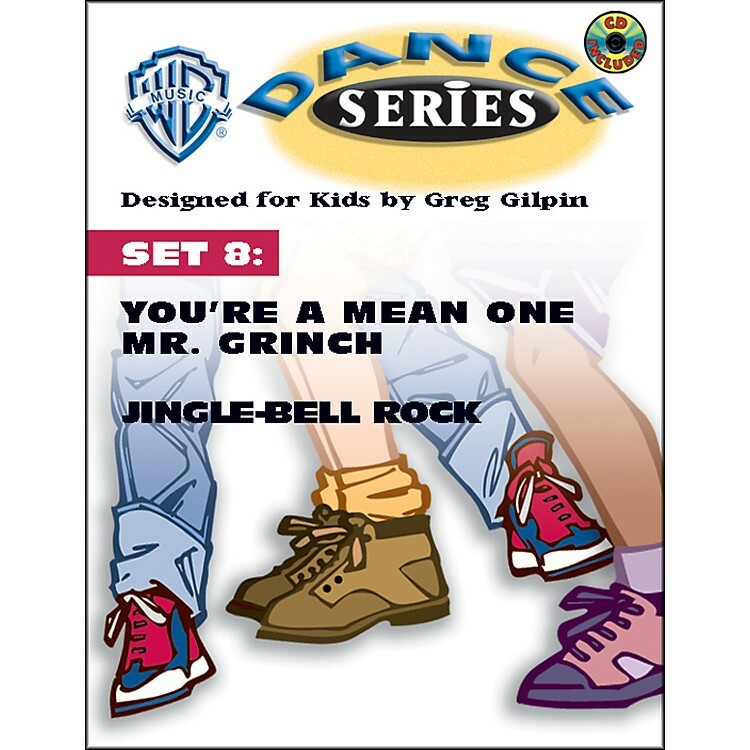 WB DAnvce Series Set 8: You're A Mean One Mr. Grinch and Jingle-Bell Rock is sure to create dance fever, and it's contagious! This exciting series is for elementary school music programs, gym classes, dance classes, camp programs, or after-school fun! Greg Gilpin has designed choreography for Rock Around the Clock and Peppermint Twist especially for kids ages 6-10. The moves are cool, and the songs are fun to sing. Each set includes two dance tunes, with lyrics, choreography, and a super pro CD with complete performance and separate accompaniment tracks. Set 1: (We're Gonna) Rock Around the Clock and Peppermint Twist Set 2: Shake Rattle and Roll and Happy Feet! Set 3: Fame and Charleston Dance till you drop!